I wanted to title this post with the latter half of this verse. We truly have a GREAT BIG WONDERFUL GOD! Many times I hear people talking about God's wrath or judgment or testing. Then I come across verses such as the one in this image. Sometimes, we forget His wonderful works and walk away from His banner, which is love. When we walk out from under His banner, we get wet, and for what? Something the world has to offer? Does the world have anything that can compare with what our God has already given, and what He will give, as we walk with Him? 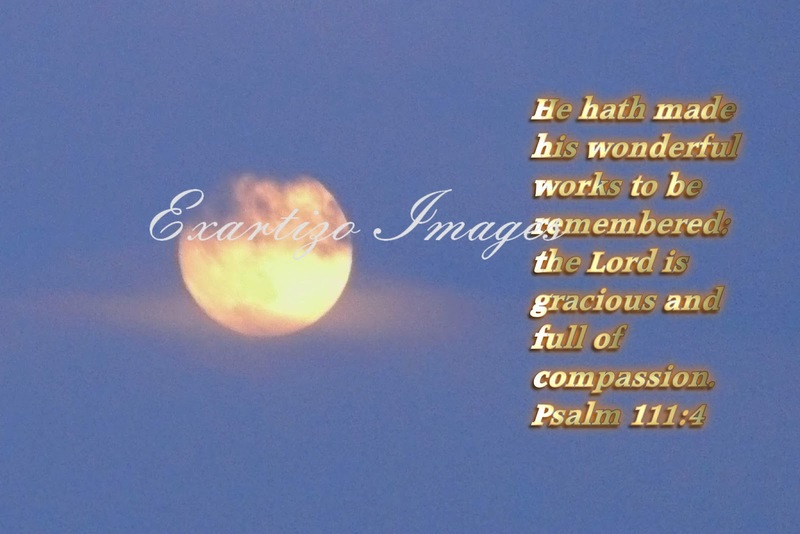 He hath made His wonderful works to be remembered!